We are the leading manufacturer of Cutting Knives in India. 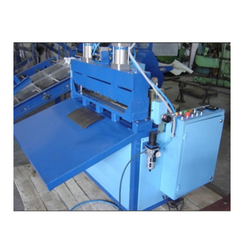 This machine is designed for high production and straight cutting of sheet or two ply corrugated board without damaging flute & linear paper. This machine can also be synchronized directly with corrugation machine. PIV chain gear box is provided for adjusting cutting length of sheet (18" to 100"). Approximate maximum speed is 200 feet per minute. Our organization is well known in the industry for catering a distinguished segment of Simplex and Duplex Sheet Cutters. These products are assembled from high quality components. We are one of the most well-distinguished companies in the market that are into offering Paper Sheet Cutter. - Simplex or Duplex cutter for online / offline application. - Heavy duty C.I. Framing and Rotary head. - Provided with required nos. of slitting units. In order to conquer enormous level of patron belief, we have been engrossed in offering a vast collection of Sheet Cutter Knives. From our advanced and ideal machines, we introduce Duplex Sheet Cutters. These machines are appreciated machine in Paper Industry due to its heavy-duty and high-speed. Our machine is available in both Online and Offline Simplex and Duplex Sheet Cutters. 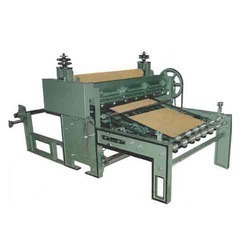 Duplex sheet cutter can also be customized as per the requirements of customers in affordable prices.